Margaret K. McElderry Books, 9781416978268, 320pp. For as long as she can remember, Clare and her family have had a dream: Someday Clare will be a dancer in City Ballet Company. For ten long years Clare has been taking ballet lessons, watching what she eats, giving up friends and a social life, and practicing until her feet bleed -- all for the sake of that dream. And now, with the audition for City Ballet Company right around the corner, the dream feels so close. But what if the dream doesn't come true? The competition for the sixteen spots in the company is fierce, and many won't make it. Talent, dedication, body shape, size -- everything will influence the outcome. Clare's grandfather says she is already a great dancer, but does she really have what it takes to make it into the company? And if not, then what? Told through passionate and affecting poems in Clare's own voice, On Pointe soars with emotion as it explores what it means to reach for a dream -- and the way that dreams can change as quickly and suddenly as do our lives. 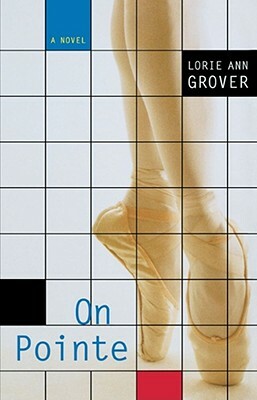 Booklist, starred review The poetic, spare language, written in Kay's self-possessed, first-person voice, is refreshingly frank....Like Virginia Euwer Wolff's free-verse novels, Grover's book balances vivid emotional scenes with plenty of space between the words. Publishers Weekly [A] hard-hitting debut novel....Any reader who has faced cancer, death or just struggled to define his or her own truth will respond to this memorable heroine and the novel's themes of loss, survival and remembrance.